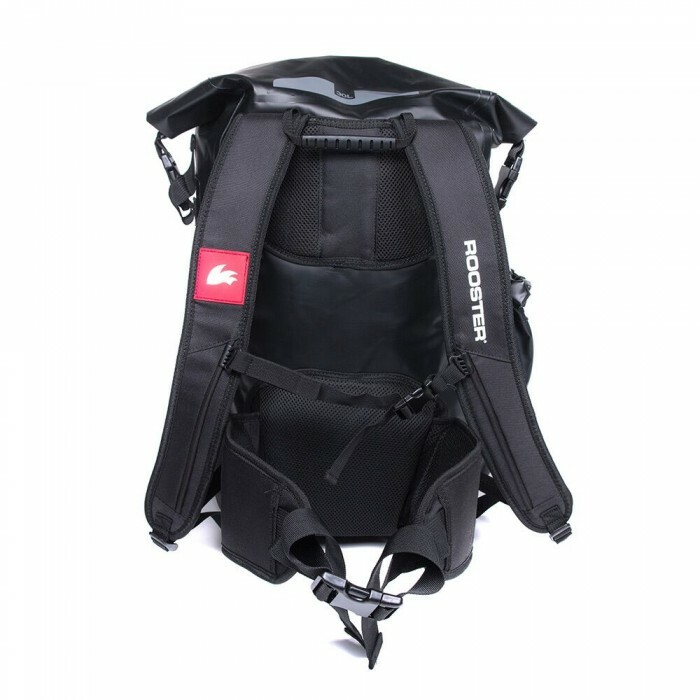 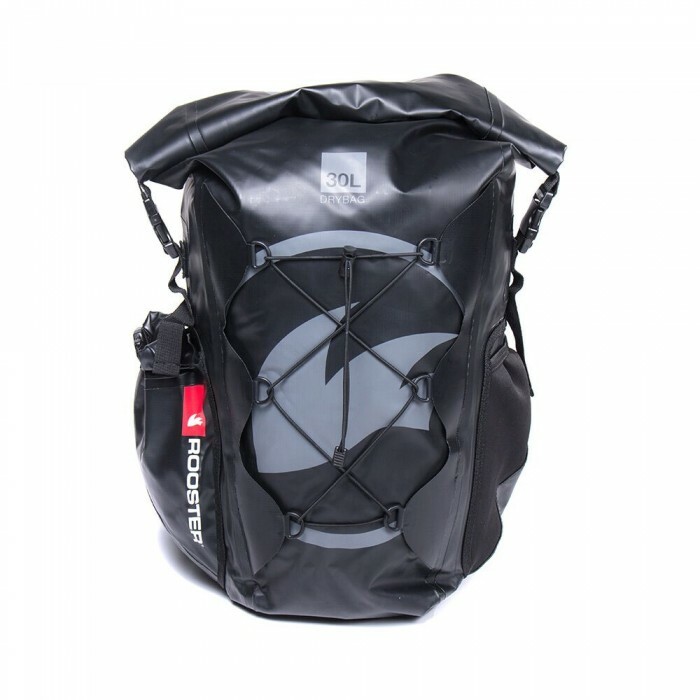 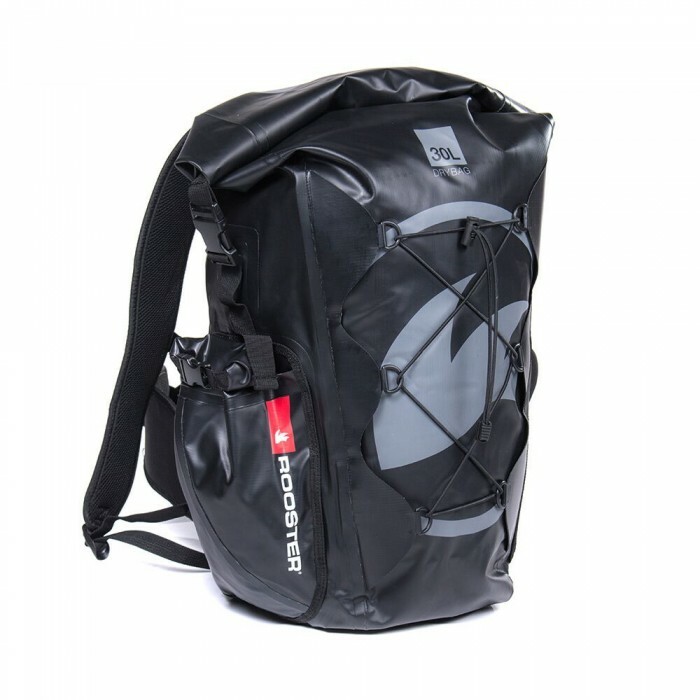 The Rooster® Waterproof 30L Backpack is an excellent addition to the kit bag range with bucket-loads of really useful features. The front of the bag has an elastic drawcord which could happily take a pair of flip-flops or wetsuit boots that would otherwise make the contents of the main bag filthy or wet if you were to store them in there. 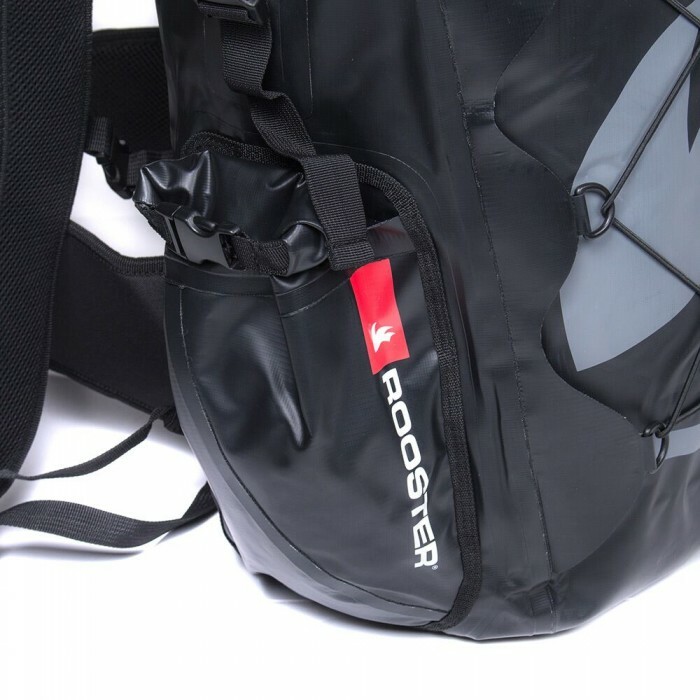 Inside the main compartment of the bag, the seams are taped and reinforced and there is another small zip pocket for putting valuables in so that they are easy to find when you need them.